Vinci Jr., John 87 – of Stone Harbor, NJ passed away January 31, 2019 surrounded by his family and friends. 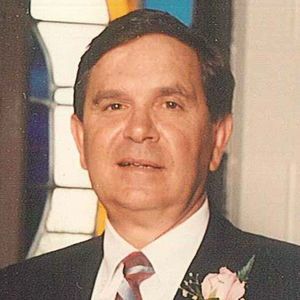 He was born in Atlantic City to the late John and Mary Vinci, Sr. John was President of Vinci's Express, a trucking company he operated with his nephew, Lewis. John was an active member of St. Paul's Church. He was passionate about golf. He cherished the years he spent playing golf with his family at Pinehurst, North Carolina. John as a devoted caregiver to the people in his life and any animal in need could count on him. John is survived by his sister, Jean (John) Buoy; nephew Lewis (Carolyn) Vinci, Jr.; and stepdaughters Audrey (Carmen) Mondelli and Linda (Lawrence) Booy. He is predeceased by his wives Mary and Virginia. Funeral services will be Wednesday, February 6, 2019 at St. Paul's Church, 9910 Third Avenue, Stone Harbor, NJ 08247. Viewing will be from 10 to 11 a.m. and Mass will follow at 11 a.m. Burial will be private. In lieu of flowers, donations may be made to Holy Redeemer Hospice, 1801 Route 9 North, Swainton, NJ 08210 or Animal Alliance, PO Box 172, Cape May, NJ 08204. Create An Online Memorial For John Vinci, Jr.
We will miss you Uncle John - you are in our thoughts and prayers. Uncle John was always taking care of someone be it his wife or others. He was very caring. Even though I didn't see him often, I'm glad that we visited him the year before my father died. RIP Uncle John! John will be missed by his friends and will always be remembered for his kindness and determination. He lived so much of his life taking care of others May he now " Rest in Peace". Sorry to learn of the passing of our neighbor Mr. Vinci. He was a nice man who took care of his late wife during a difficult illness. He always kept the outside of his home like a showcase. We will miss him. May he Rest In Peace.